I need a T-shirt designer for my company. 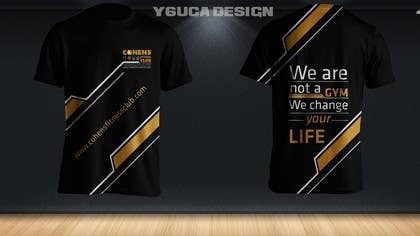 Its a Fitness Club for High Rank and VIP People, so I need an elegant Design with the colours of the brand: GOLDEN AND AND BLACK and a litle of WHITE because I want that the [login to view URL] being Black also. 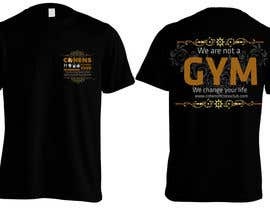 Phrase: "We are not a GYM, We change your life"
So, I need elegant and original design please. If you have any dude write me. can you left me feedback? hi, can still post my design? Please, In the front I need more design not only the logo, please create something dinamic, elegant... Thanks! Hire me for this job. already have done similar jobs.